Now, after a one-year hiatus, EA and Ghost Games’ street-racing series is back in the form of Need for Speed Payback, a blistering new addition to the franchise that takes place in Fortune Valley. From off-road racing to intense heist missions, Payback promises a wealth of content that is sure to please petrolheads itching to get back behind the wheel, and it seems Ghost Games has doubled down on the game’s story element in time for its release on November 10th. 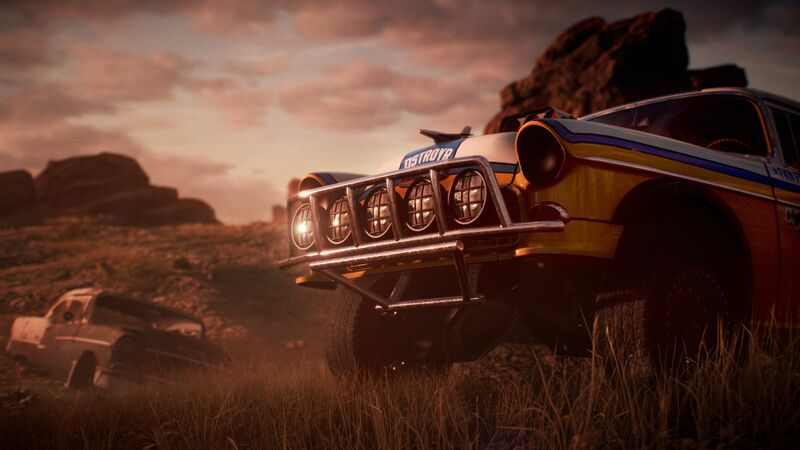 Touting a AAA blockbuster “fueled by a gripping story of betrayal and revenge,” Need for Speed Payback presents users with three playable characters: Tyler (The Racer), Mac (The Showman), and Jess (The Wheelman). Their mission? To confront a nefarious cartel known as The House, and make their family whole again reclaim the streets. Car customization is, of course, one of the enduring traits of the Need for Speed franchise, and it looks set to return in a big way with the release of Payback. EA’s official blog post claims players will be able to build their dream ride piece by piece, and essentially transform a hunk of junk into a ferocious supercar. Need for Speed returns this year to challenge what players expect from racing games. We’re still delivering everything our fans love about the franchise – the deepest customisation, an impressive roster of cars, intense races and open world pursuits – but with Need for Speed Payback, we’re bringing together all those elements in an all new blockbuster driving experience. From the story, to the different characters you can drive as, to the varied missions, to the edge-of-your-seat moments, this is our vision for what action driving entertainment means today. More information will be unveiled at the sophomore EA Play event next week, though we understand Payback will offer “five uniquely customized and tuned iconic cars at launch” for pre-order customers: The 2008 Nissan 350Z, 1967 Chevrolet Camaro SS, 1969 Dodge Charger R/T, 2016 Ford F-150 Raptor, and a 2016 Volkswagen Golf GTI Clubsport. Need for Speed Payback screeches onto PS4, Xbox One and PC on November 10th, just one week before the launch of DICE’s Star Wars Battlefront II. Both titles are expected to be in attendance at the EA Play event late next week, so stay tuned for more.